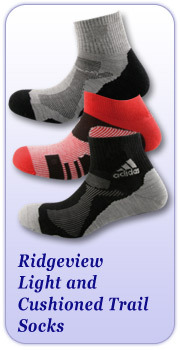 Ridgeview are fully committed to creating a stable, sustainable and environmentally friendly manufacturing operation. This includes using suppliers who are equally committed and all of whom comply to the OEKO-TEX certification process. We have an ongoing strategy to continually improve and use the latest best practice techniques for ensuring that we meet such targets. All staff have undergone a formal basic training programmes in how to be more sensitive to their surroundings in terms of reducing waste and protecting the environment. Packaging - all cardboard packaging materials are either fully or partly made from recycled material and are able to be recycled after use. Yarn - we are currently manufacturing products using recycled Polyester. We are involved with 2 packaging projects in conjunction with our customers to find ways of reducing the environmental cost of packaging formats. All plastic yarn cones are returned to the yarn supplier for re-use. We have invested this year in 18 machines that reduce cutting and waste in the manufacture of our products by between 4 and 7 percent. We are investigating the possibility of replacing the roof at our packaging facility to include Solar Panels. We are seeking to install a heating system to heat the entire knitting operation that re-cycles the heat and energy used by our knitting machines.